Website traffic is a major metric many marketers use to measure the success of their marketing campaigns. I won’t go into a debate about whether it is the right or wrong metric to watch but traffic is the basis of most marketing metrics. Unfortunately, most people still do not know what to do with website traffic even if they have tons of it. In my experience, many marketers focus more on driving traffic than on converting it, then they end up complaining about poor ROI on their marketing efforts. So what are the best ways to ensure you’ll make more sales on your site? This article discusses three common ways marketers choose to monetize their site and how they can get higher ROI using these methods. A marketing funnel is a fancy way of describing the customer’s journey from when they’re first aware of a business to when they’re ready to buy from a business. Like you have in a literal funnel, visitors to your site are on the top of the funnel, and they move down the funnel based on their levels of interest in your product or service. So whenever you hear or see “widening the funnel” it simply means using several tactics to drive more traffic to a site. When you spend money to send traffic to your course, it’s likely that most visitors will not be ready to buy from you yet. A funnel allows you to align marketing and sales to increase the chances that visitors will buy your course. That said, the next logical question is, how do you create a marketing funnel? There’s a lot of information here on how you can create a marketing funnel so I won’t rehash it. But basically what you need to do is create appropriate content for each stage of the funnel–top of the funnel (ToFu), middle of the funnel (MoFu), and bottom of the funnel (BoFu). For marketing funnels, you’ll typically need different tools to help you handle each stage of the funnel: email marketing, content, and landing page tools. This is the advantage of all-in-one platforms like HubSpot, with its various modules that are built from the ground up to work together seamlessly. So, for example, if your product is an online course, you might consider using a platform like Kajabi, which offers built-in blogging tools that come fully integrated with webinar and email marketing tools, including a landing page builder that comes with dozens of templates. Blogging expert Jon Morrow encourages bloggers to start selling on their blogs from day one. It’s contrary to most of what you’ll read about selling on sites that are not e-commerce stores. Normally you’re encouraged to capture leads or subscribers and nurture them before pitching a product or service. But like Morrow argues, when you start making money from your site no matter how little, it’s easier to stay motivated and keep at it in the long run. It doesn’t matter what product or service you’re offering. For example, in the blog post on marketing funnels I linked to earlier, Scoop.it’s founder subtly mentions that Scoop.it is a content marketing automation software. 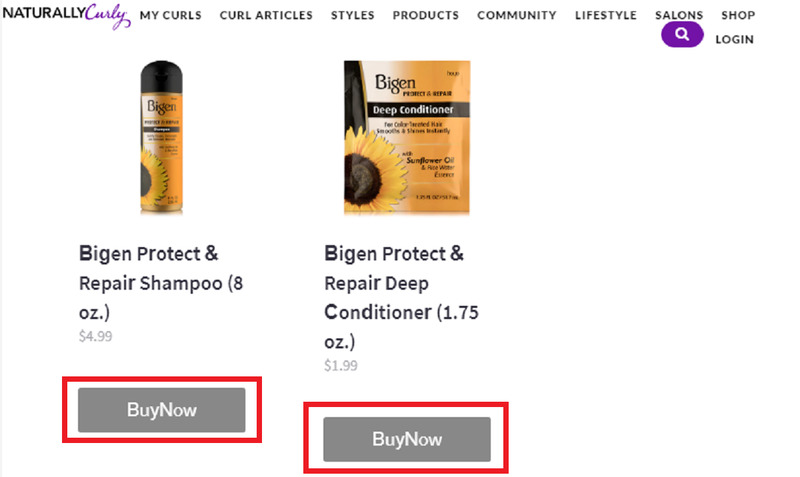 E-commerce platform BigCommerce allows you to embed a “buy now” button in your blog posts and other content pages. You can use it if you’ve written the backstory about a product you offer, tutorials explaining best practices for making the most of your products, or those gift recommendation roundup articles that always seem to draw a lot of shares. Below is an example of what I mean, taken from this page. For digital products like ebooks, a platform like Podia can help you sell them directly on your site. Making your products and services visible on your site will increase your sales. Many companies selling software have users in different stages namely trial, freemium, and paid users. For some of these companies, they have difficulties converting trial or freemium users into paying customers or making paid customers pay more to get better service or product features aka upselling. Though some may argue that making freemium customers pay for a product or service they’re currently using for free is still upselling. Nevertheless, according to forEntrepreneurs, 70% to 95% of revenue comes from upsells and renewals. And on e-commerce sites, upselling is 20 times more effective than cross-selling. That shows it works, irrespective of your niche. How do you upsell customers without annoying them or causing them to unsubscribe? Acquire customers. Encourage them to upgrade their plan or subscription every chance you get—the shorter the free trial period, the sooner customers are bombarded with upselling emails. While it is okay to convert unpaid users to paid users as soon as possible, a more practical approach is what is often encouraged in mobile app development circles: ask for a rating on the app store after a user has reached a certain milestone. In the case of SaaS companies, it means upsell after a user has reached a certain milestone. For example, if your accounting software allows non-paying users to send a maximum of ten invoices a month, and a customer has already sent their tenth invoice and it’s nowhere near the end of their free trial yet, you can reach out and encourage them to upgrade their plan so they can send their eleventh invoice and so on. I know it’s bare bones, but I’m sure you get the point. In contrast, marketing expert Neil Patel encourages charging some money from the start, that is letting users try your software for a low price. He makes the point that paying from the onset primes customers for an upsell later on. Here it is in practice from the folks at Ahrefs. 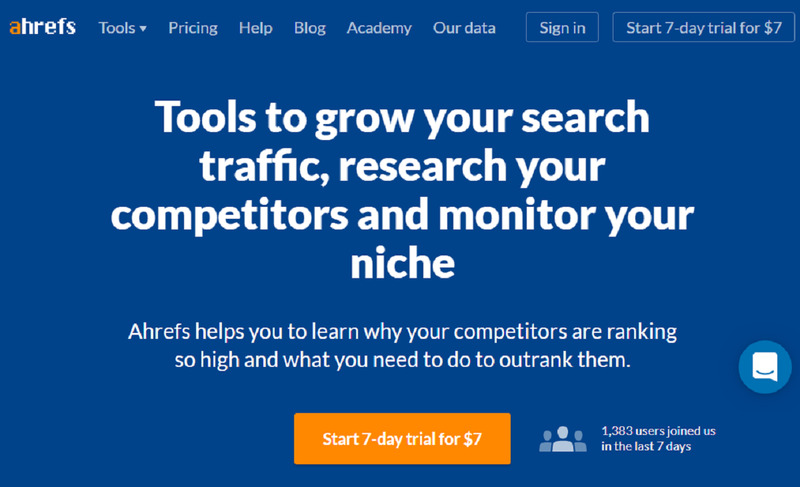 As you see above, Ahrefs offers a 7-day trial for $7, equivalent to paying $1 a day in the seven-day period. You will need to test this out with your business to see which one is more profitable for you. Whichever route is more successful, always remember it’s still upselling that made the difference. But your website is more than a hobby. And you’re serious about earning from it. These tips will help you do so and ensure your business is successful. 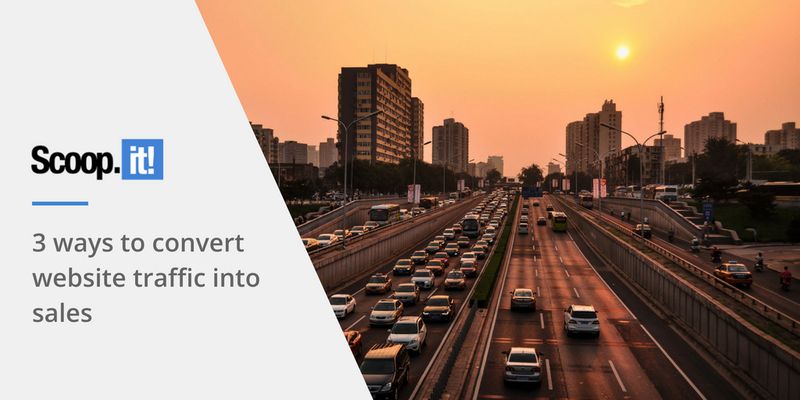 11 Comments on "3 ways to convert website traffic into sales"
Thanks for sharing .Its very important for me. most of us in this eraa of digital marketing create website to earn money but we are not aware about the right techniques. Very Informative Article , Thanks Admin ! !